20 years of being a best seller is pretty impressive and really humbling! 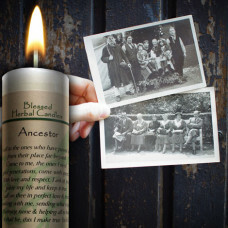 The cornerstone of Coventry Creations, the Blessed Herbal Candles, are celebrating 20 years of making Magic Happen! 20 years is a long time to "Make Magic Happen" in thousands if not a million lives. 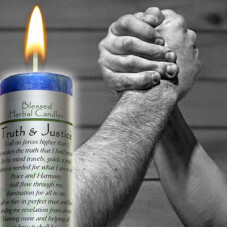 The Blessed Herbal candles work through your intent as it is combined with the vibration created by the candles herbs, oils, colors and blessing. 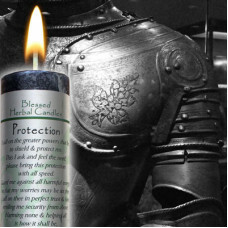 When you set your intent and vision for your life, the candle holds that wish while you work through and clear the things that were holding you back from the ideal you seek. We are continually humbled by the idea that in 1992 we started an industry with this line. 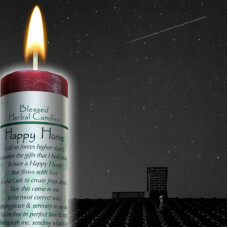 We have inspired many start-up companies to make and market magic of their own version of magical candles, but being the originators is an honor and a responsibility to maintain our magical intent with every candle. 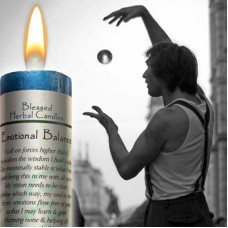 For 20 years we have been hand pouring the Blessed Herbal Candles when the moon is right, in a sacred space and with added blessings. 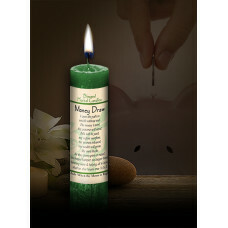 Any time we even think of taking a shortcut, we are quickly reminded by our customers of what these candles mean to the world. 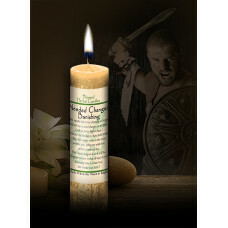 The 24 unique blends address any need one may encounter in the journey through life. They quickly become self selling, best selling, repeat selling and favorite products in your store. They are like gifting yourself or anyone with a bit of dreams come true. 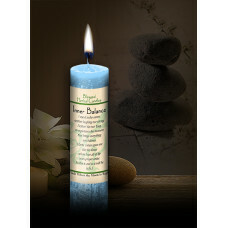 A deep turquoise candle with an orange blossom essential blend. 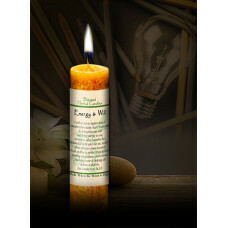 1.5 x 7 pillar with a 40 hour burn t..
A spicy orange candle with a sandalwood and ginger essential blend. 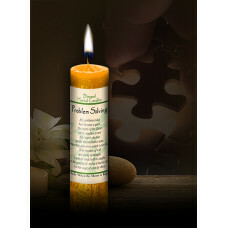 1.5 x 7 pillar with a 40 ..
A sunny yellow candle with a vanilla and patchouli musk blend. 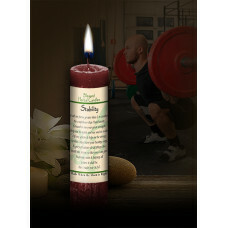 1.5 x 7 pillar with a 40 hour burn ti..
A spiritual purple candle with a mellow honeysuckle and cedar oil blend. 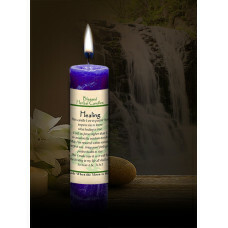 1.5 x 7 pillar with a 40 ho..
A blossoming lavender colored candle with a matching fresh ylang and lavender oil blend. 1.5 x 7 pil..
An earthy brown color blended candle with a cypress and patchouli blend. 1.5 x 7 pillar with a 40 ho.. 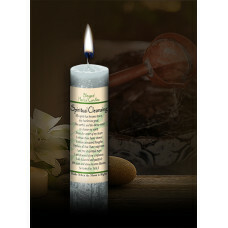 Spirit Guide Blessed Herbal Candle is a white candle infused with a peppermint musk blend. 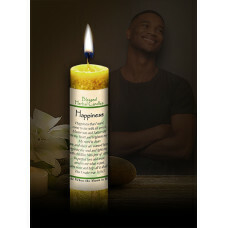 1.5”..
A honey colored candle with a honeysuckle scent. 1.5 x7 with a 40 hour burn time. Each challenge, l..